GET YOUR GEEK ON. It’s time to flaunt some Hobbit privilege. Long before Hogwarts was the centre of modern wizardry, there was the fortress of Isengard. This was where those who were part of the high and ancient Council of Wizards met to discuss matters pertaining to the Wise. The head of this order was Saruman the White. But something happened to Saruman. Pride happened. He began to bask in his own sophistication and he ended up adopting a global agenda to advance his new cause. Saruman became a freedom fighter. Which is to say, he fought against freedom. But, as always happens when one has an ideology that one wants the world to embrace, something gets in the way. People. For some reason, not everyone appreciated Saruman’s sophistication to the degree which he assumed they should. And this brought him into conflict. Gandalf was the first to spot the change of Saruman. It was to Gandalf that he first revealed that he was now self-identifying as Saruman of Many Colours―a change he felt was more in keeping with his high education and new insights. He points out that white light can be broken into a rainbow of colours with a prism. When Gandalf tells Saruman that his choice to break something ancient is less than wise, Saruman silences Gandalf by exiling him to the top of Orthanc, the tower at the centre of Isengard. Truth tellers are often exiled from centres of influence. In a later encounter, we get real insight into how this proud and colourful wizard was able to influence so many―and how this power was broken. It’s in the second book of the LOTR series and the chapter is entitled ‘The Voice of Saruman’. In this chapter, things aren’t going well for Saruman. His globalist goals have been dashed upon the rocks of his own foolishness. There has been a patriotic revival in nearby Rohan―a country that he had once kept under control by an ideological spin-master and adviser to the king, Grima Wormtongue. 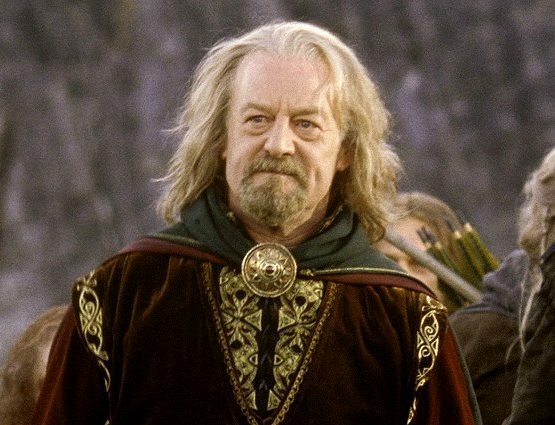 But now Rohan has an awakened leader in the person of the old but powerful figure of King Théoden who won't submit to the demands of Isengard anymore. In addition, the forest had its own revival. The Ents (tree shepherds) who had long been mistreated by the proud wizard, marched on Isengard. They killed orcs and wrecked the place worse then a drunken stag-do in a Martha Stuart showroom. In short, Saruman if forced to feast upon the banquet of his consequences. But he is not without some power yet. And how will you learn that Master Dwarf? Saruman could look like me in your eyes, if it suited his purpose with you. And are you wise enough to detect all his counterfeits? Beware of his voice! As Christians we're given a similar admonition in Scripture when it comes to counterfeits. We are warned by Jesus to beware of false prophets that come in sheep clothing (Mat 7). We are told that by the apostle Paul that Satan often masquerades as an angel of light (2 Cor. 11). John sees a dragon in his Apocalypse that deceives nations by having the appearance of a lamb. The warning couldn’t be clearer: Evil will often infiltrate our lives and our world by looking like Goodness, Wisdom, and Virtue. Just because news programs, cultural centres of influence, and sophisticated sounding religious leaders praise something does not mean that behind its attractive façade is anything praiseworthy. Our attempt to deconstruct the Christian faith and keep it attractive to the cool kids is a reform is doomed by pride to Sarumanism. And that’s what often gets overlooked: the role that pride plays in all of this. Pride is not good―regardless of what you may have heard to the contrary. We like to think of ourselves as clever and sophisticated. Ideas, even if they are ungodly ideas, are easily accepted by us if they are spun using sophisticated or moral terminology. The horrors of the Communist gulags were justified because they were said to be done for the good of the proletariat. The killing fields of Cambodia were the outworking of fine sounding ideas picked up from the top Universities of Europe. The fruit of the tree always looks good for wisdom. All that the voice said seemed wise and reasonable, and desire awoke in them by swift agreement to seem wise themselves. When others spoke they seemed harsh and uncouth by contrast; and if they gainsaid the voice, anger was kindled in the hearts of those under the spell. epic beard and epic boldness. Are there counterfeit ideas of goodness flowing through our church or the wider society of which we are a part? Are there ideas that cause those who parrot them to feel sophisticated? Ideas that make those who hold them angry when they hear an opposing point of view? Deceptive words have hooks. And we're far more inclined to bite upon the bait than we like to admit. In Jezebellic rage at Gimli’s audacity to challenge him, Saruman shouts but then quickly regains his composure. He continues trying to deceive Gandalf and company―who obviously have the upper hand. Then, it is King Théoden’s turn. His country had fallen into disarray by listening to this Voice before, and now he will not listen to it again. He will not see his once great country fall into further ruin to the sound this fine sounding music. The multi-coloured wizard continues speaking, but finally it is Gandalf that breaks what’s left of the Voice’s power by simply laughing at it. Counterfeit wise men (and women) hate being laughed at. Laughing at sophisticated sounding lies and liars is sometimes the godliest thing a truth-lover can do. Saruman, Saruman! Said Gandalf still laughing. Saruman, you missed your path in life. You should have been the king’s jester and earned your bread, and stripes too, by mimicking his counsellors. We like hip, pretty, and wise sounding words. But the gospel is not always like that. At times it's more like a Tarantino film: unpredictable and dark - yet gloriously gut wrenching and liberating. May God help us resist the temptation of adopting fine sounding ideas simply so that we can think of ourselves as sophisticated. We are fools for Christ who do not glory in our level of education, coolness, or cleverness. We glory in the Cross. 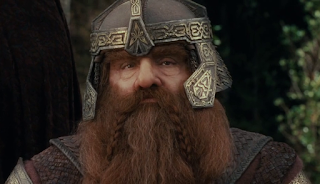 May we speak directly like Gimli, declare boldly like Théoden, and laugh freely like Gandalf in the face of all the savvy Sarumans of our generation. We had a lot of last minute decorations to add, and the staff was eager and willing to help. The food at venue NYC was amazing. They have extremely unique and tasty food. Also this place has great views and beautiful big rooms.